Downhills Dont Come Free - 3X International Award Winner! 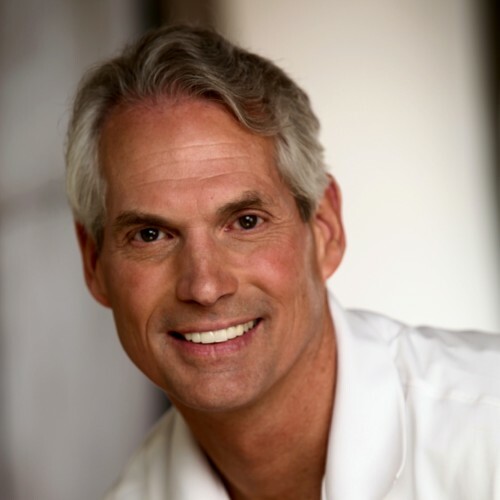 Jerry Holl is a dynamic speaker and a relentless optimist who is also the author of the three-time international award winning book, Downhills Don’t Come Free - One man’s Bike Ride From Alaska to Mexico. How will you ever know your best if you stay the same? Jerry’s keynote is more than entertaining and informative, it’s tremendously inspirational and 100% authentic - all told through his real life stories - successes and failures! "Ordinary people can do extraordinary things.” Although he considers himself an ordinary person, his own extraordinary experiences demonstrate that most people have so much more to offer than they often give themselves credit for. “You can do so much more than you think you can!" Through his stories and mindset, he informs his audience how to do it. Jerry more than challenges his audience - he inspires his audiences to challenge themselves to ‘live alive and live fully’ - and by default, they can’t help but get extraordinary stretch performances out of themselves and their teams - and achieve accelerating growth. "That’s what happened to me - and it happened as a natural outcome putting myself to the test and truly having to give my best effort! ‘Nobody was going to pedal for me!’ And in the process, you’ll discover you have extraordinary innate capabilities that are building blocks for ever greater endeavors." Jerry holds an engineering degree, an MBA and has over three decades of sales and leadership experience. He translates the lessons learned from his extraordinary bicycle journey to meaningful business principles. His messages are easy to understand and pragmatic - all derived from his real life experiences and outcomes. Jerry fully understands value creation and creating win-win for all parties. He resides in Minnesota with his wife and has three grown children. Jerry has also performed some commercial talent and role-play work for major Fortune 500 corporations. "Downhills Don’t Come Free: One Man’s Bike Ride From Alaska To Mexico" A two time international award-winning Book. “Downhills Don’t Come Free” was awarded 2017 Finalist: Book Excellence Awards - www.bookexcellenceawards.com - a prestigious international award winning book in the Adventure Category. Find out more about Jerry Holl, Downhills Dont Come Free at http://Www.DownhillsDontComeFree.com.